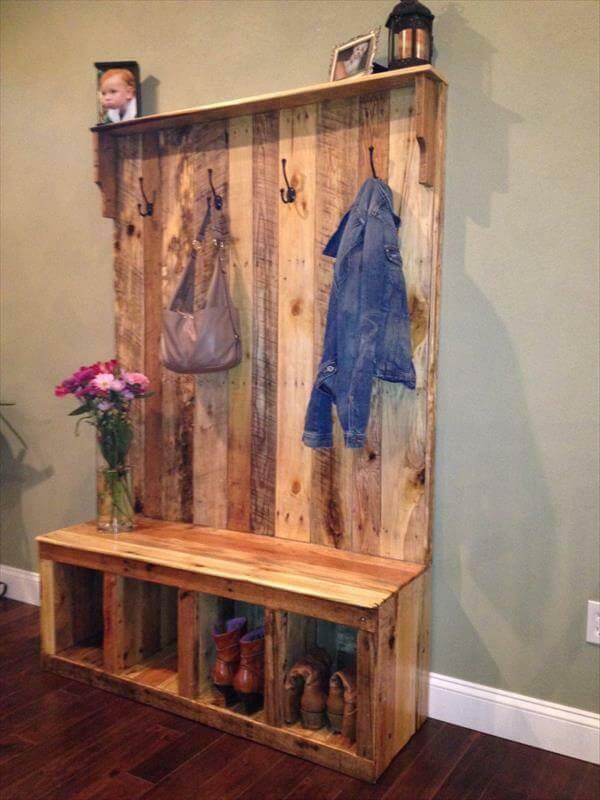 Accompany this homely produced pallet bench appearance for multiple home hanging and storage needs just at the entry way location of your home. 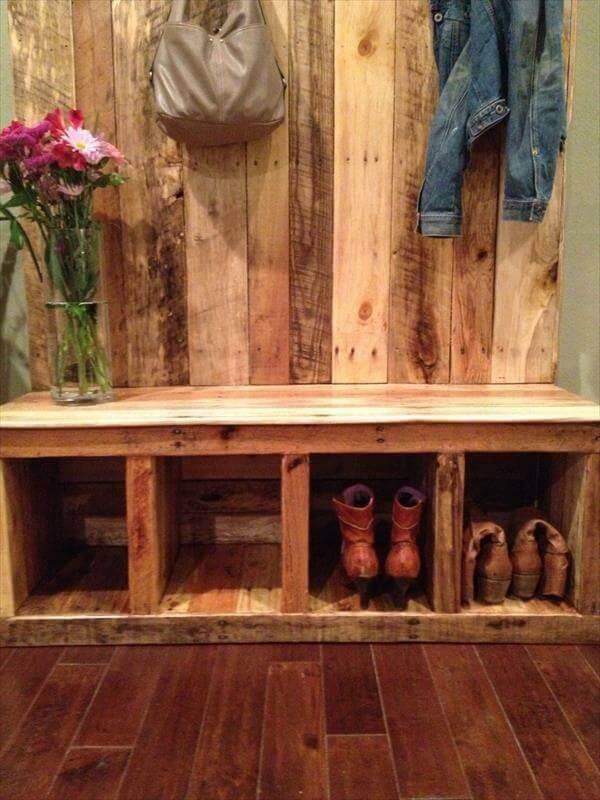 This DIY pallet entry bench is famous due creative manufacturing for 2 in 1 purposes. 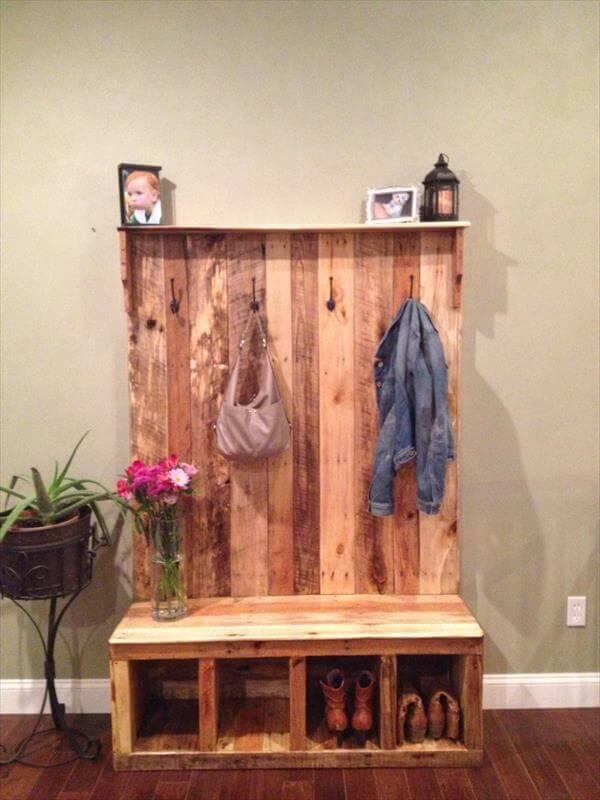 You can also use it as DIY pallet coat rack for handbags, hats and other instant needs. The straight vertical panel is lush with metallic hooks for holding and the bottom is constructed in such a way that it provides various shoes storage cabinets with care and protection. The idea is thrifty to try at home and uses very small space at hallway or at home entry location, you can customize the dimensions by taking in mind the same inspiring appearance.